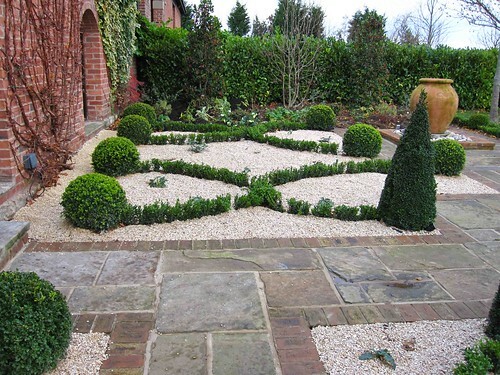 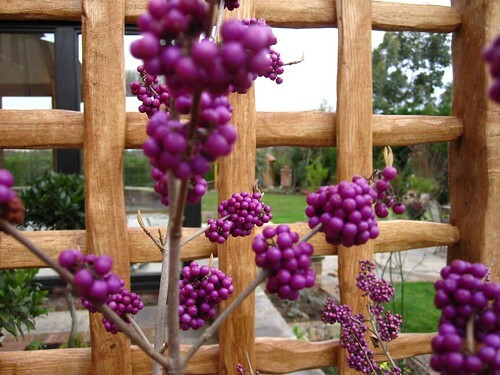 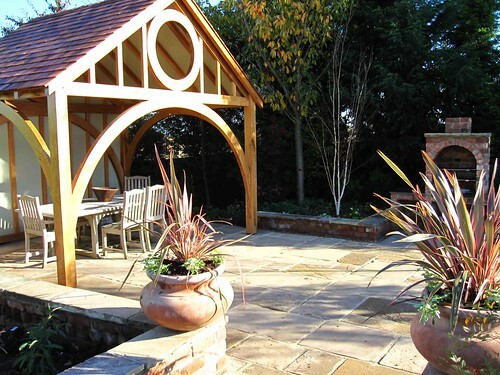 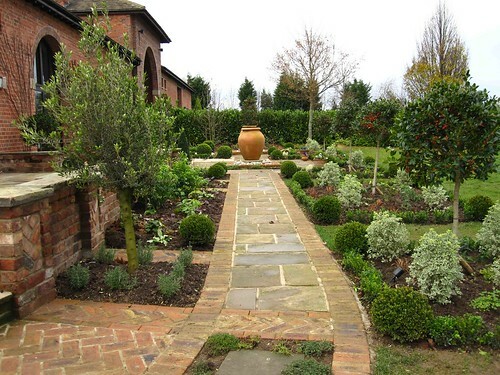 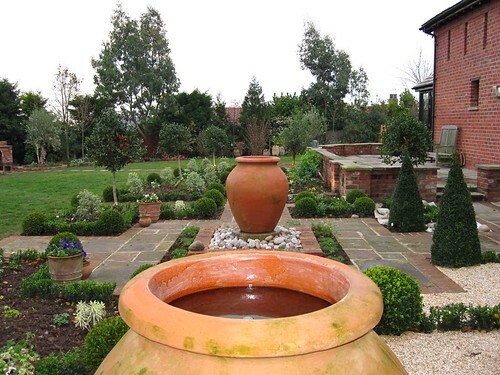 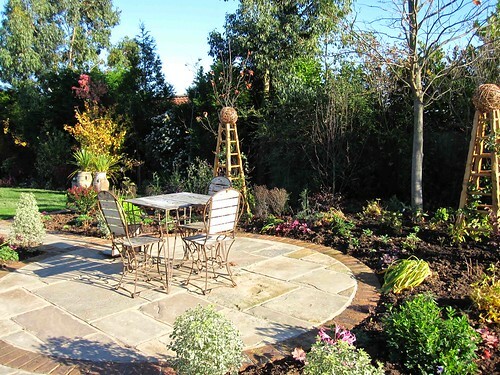 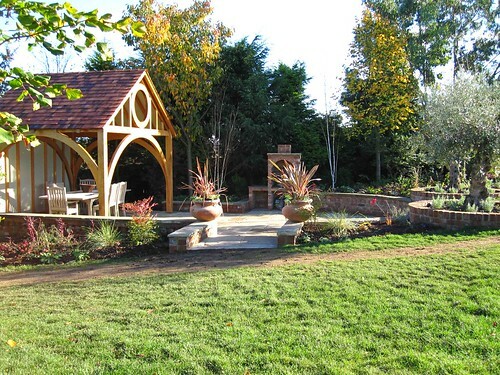 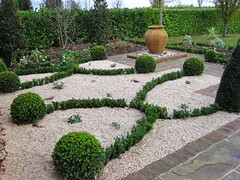 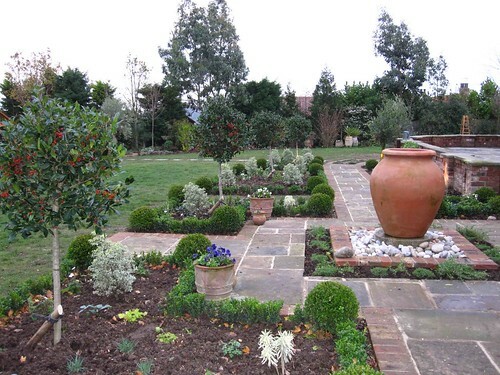 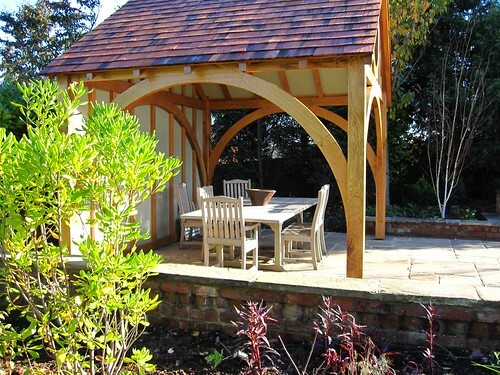 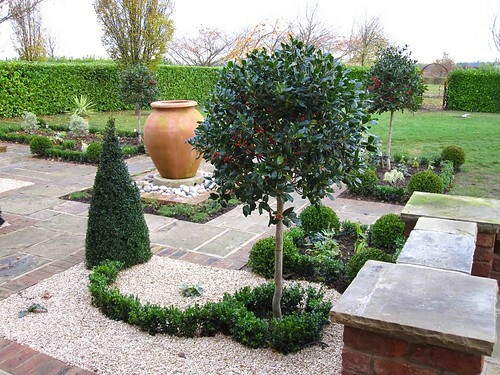 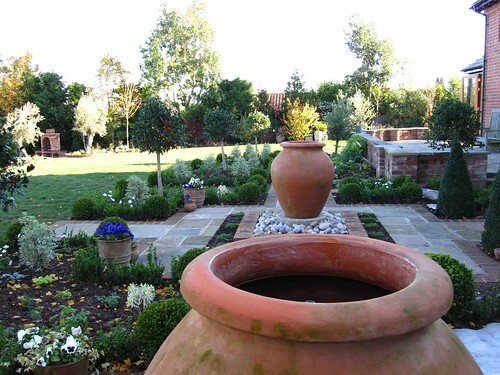 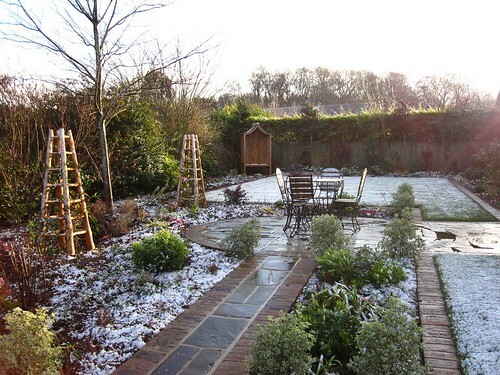 This large country garden has a wealth of features. 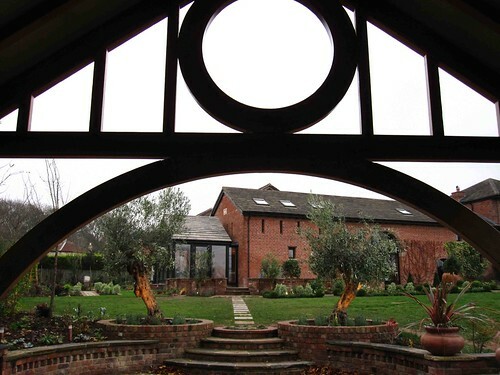 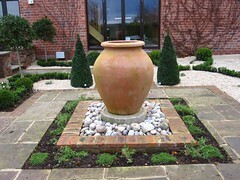 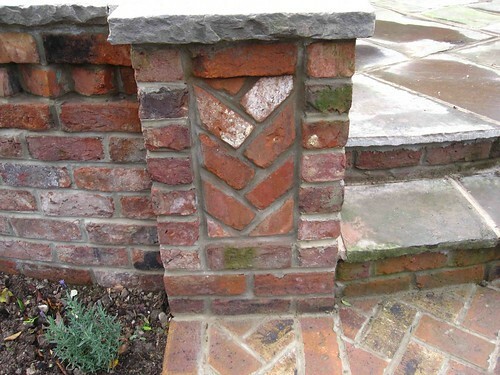 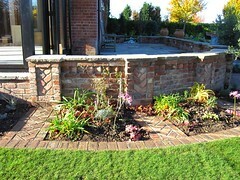 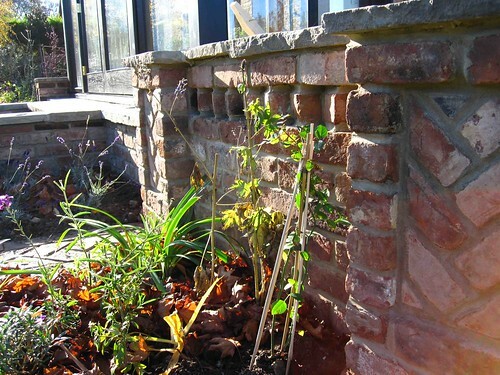 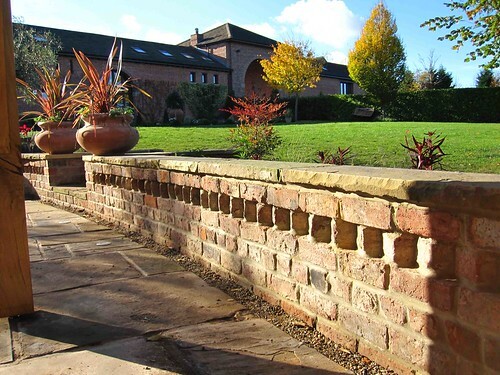 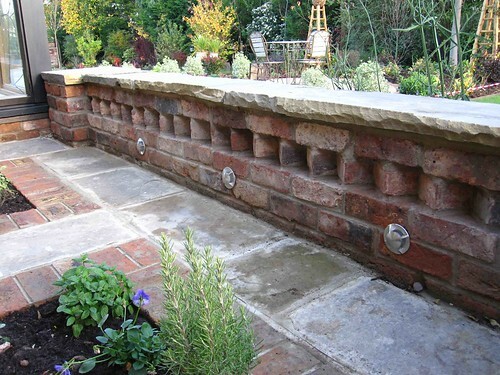 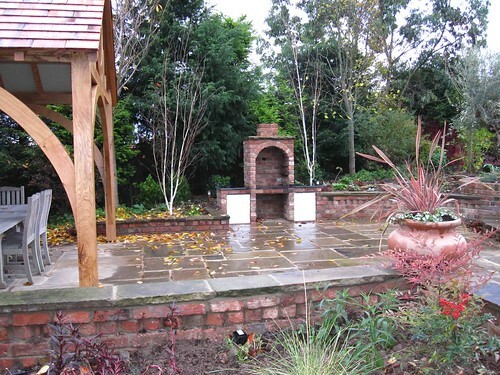 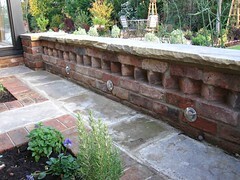 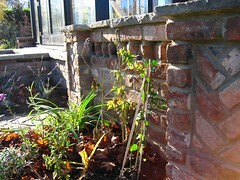 The detailed brickwork runs throughout the garden holding the design together. 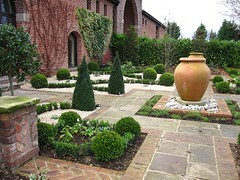 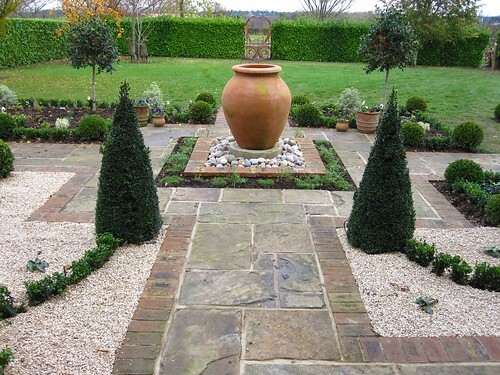 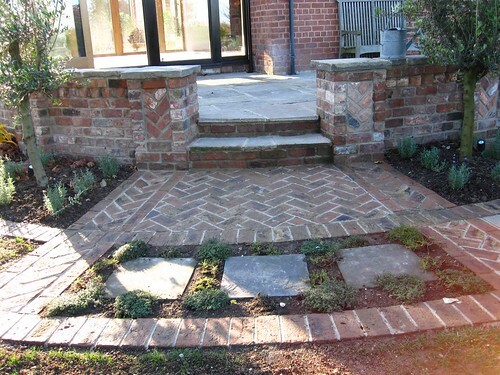 The herringbone pillars extend out into the garden enclosing borders which will surround the morning terrace. The evening terrace has an open summer house for shade and shelter. 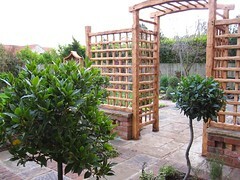 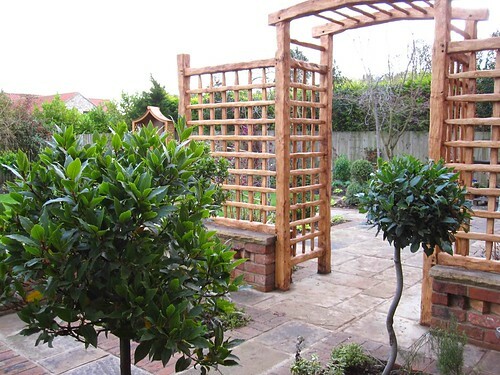 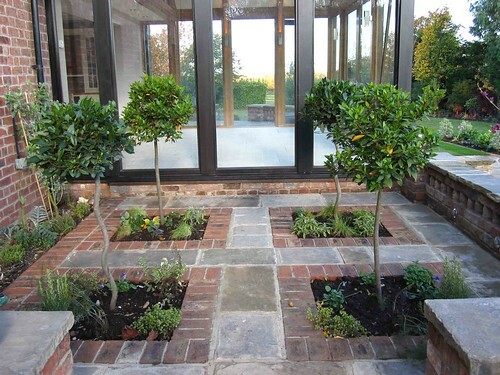 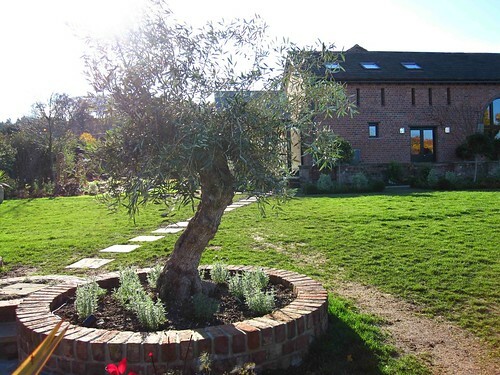 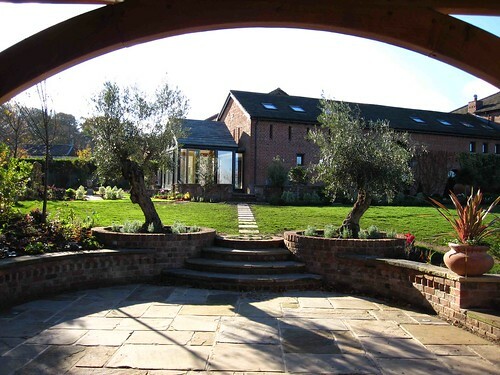 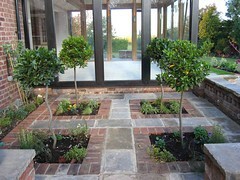 2 large olive trees frame the terrace. 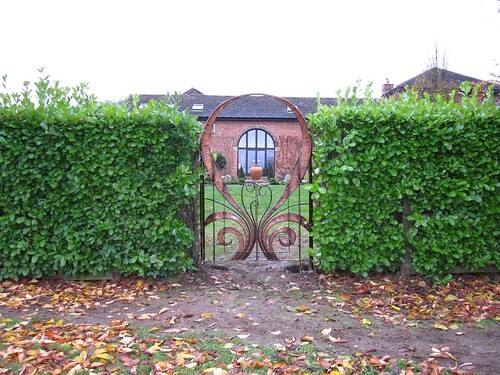 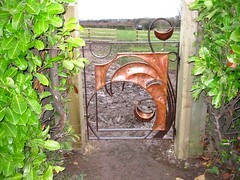 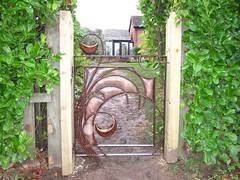 The specially designed gates open out into the paddock and allow views of the countryside beyond. 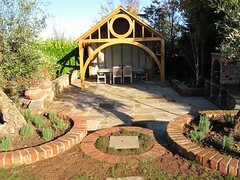 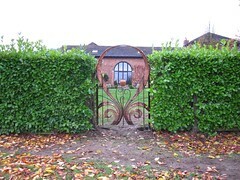 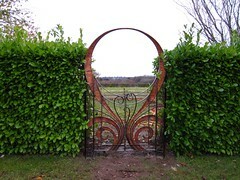 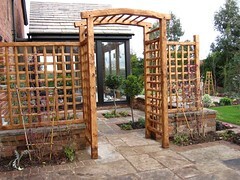 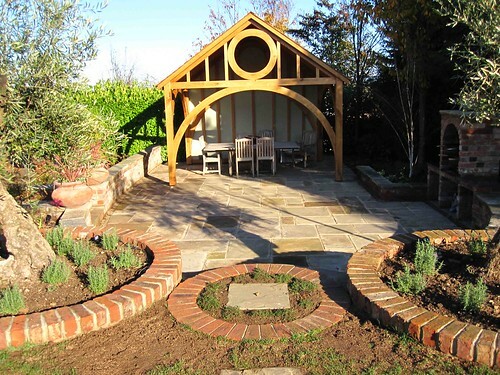 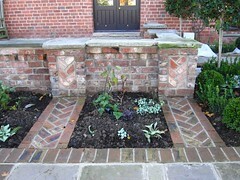 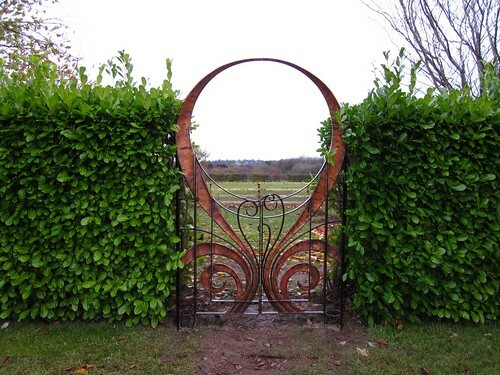 There is a herb garden by the house with oak rose arch and trellis. 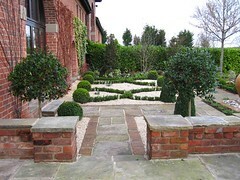 There is also a white garden with fountains to be viewed from the large barn window. The garden is lit at night to create a magical scene.